Before we get to the toys, it must be said that Hasbro’s poor showing for Age of Extinction seems to be continuing into Robots in Disguise. 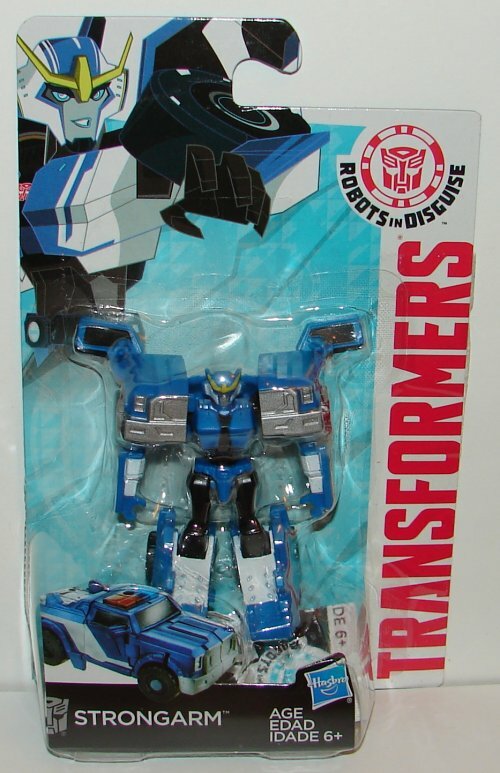 None of the RID toys I’ve got yet have the class designation on the packages. I am *assuming* these must be meant to be Legion, but it doesn’t say on the package. This level of incompetence on Hasbro’s part should be getting people fired by now. Another inept decision on Hasbro’s part, these apparent Legion toys all have ports for weapons and hands that can hold them, but do not come with any weapons. Adding weapons for the Dark of the Moon and Prime Legion class toys was a great move by Hasbro even if many of them came with crappy soft plastic weapons. It was better than nothing. They have taken a huge step back removing them, and what’s worse, since they have the ports, they were clearly designed to come with them. 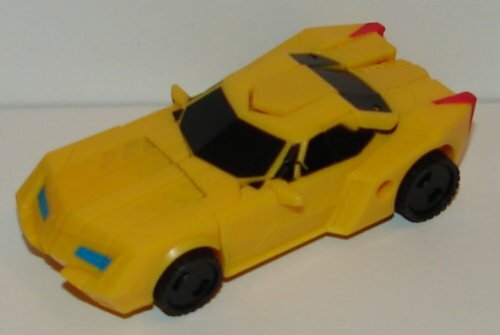 Bumblebee’s car mode for RID is really growing on me. He looks really cool. 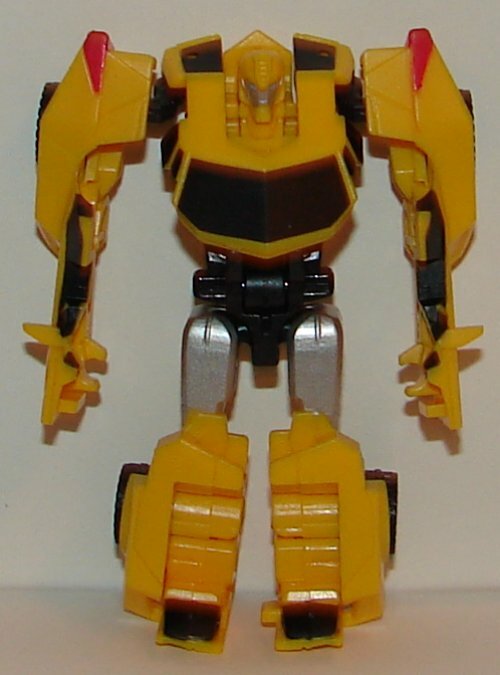 Initially I wasn’t a huge fan of the boxy angular lines of these toys, but Bumblebee really looks sharp. 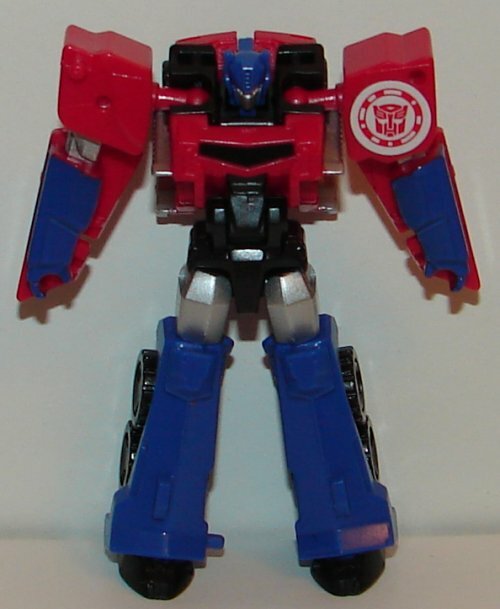 I like his robot mode, and he has a decent head sculpt for a Legion class toy. 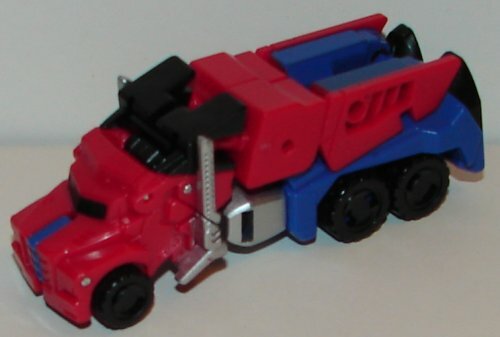 I think this is the best Legion class Optimus Prime toy ever. He’s just awesome, even having his trailer built in. If only he had a gun he would be absolutely perfect. I am not sure how I feel about Steeljaw’s wolf head. I don’t know the reason behind it yet. If the reason makes sense, the mold certainly looks cool, but there needs to be a reason. I really like the car design. It looks very wolfish. Very cool. 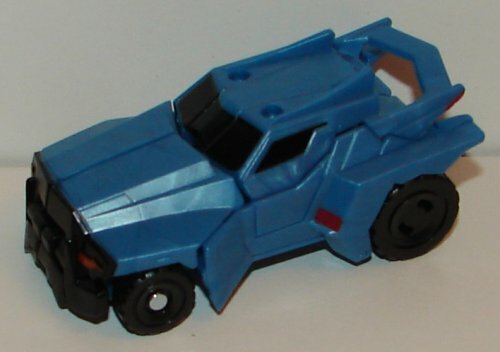 I love the design of Strongarm’s truck. 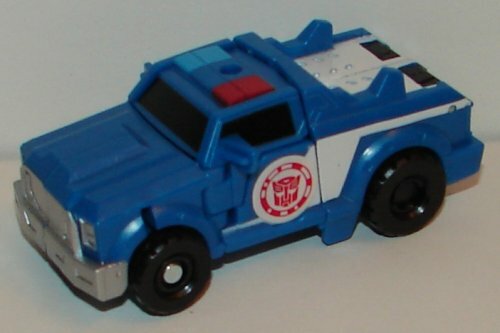 I also like the idea of making the female character a truck in general. It’s a really great choice. 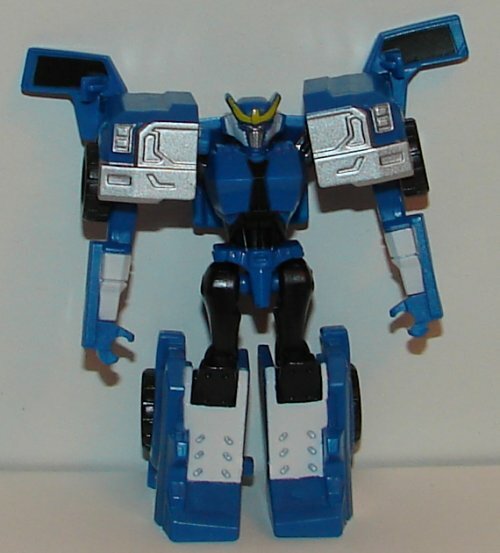 Robot mode looks cool. Overall: I like this initial wave, but I am really angry that they have no weapons. I’m even more upset that we can’t get a class name on the package. It’s such a simple thing, and not doing it is absolutely moronic. 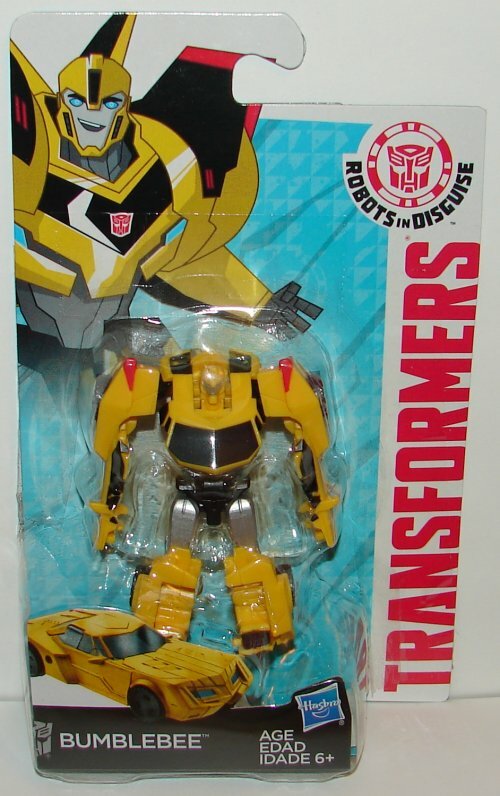 This entry was posted in Toy Reviews, Toys, Transformers and tagged Bumblebee, Cyberverse Legion, Legend, Legends of Cybertron, Legion, Optimus Prime, RID, Robots in Disguise, Steeljaw, Strongarm, Toys, Transformers, Transformers: Robots in Disguise. Bookmark the permalink. 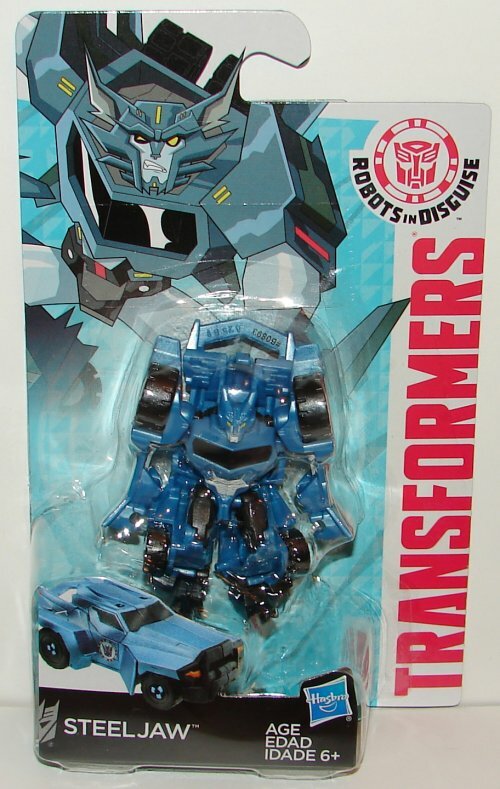 DarkAlex1978, as Tfcrater pointed out, it is apparently because all Decepticons are animals, which doesn’t make Steeljaw make any sense to me. Having animal alt modes is fine, but it makes no sense for them to have vehicle modes and robot modes with animal heads and tails. 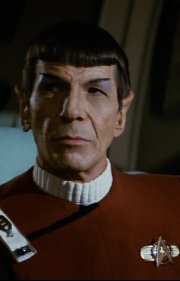 Hasbro has been making idiotic decisions starting with the AOE line, and it does not seem to be getting any better. As far as Warrior Steeljaw goes, I don’t think I couldt get him to stand up with leaning on the tail, but yes, it seems that plastic could have been put to better use. 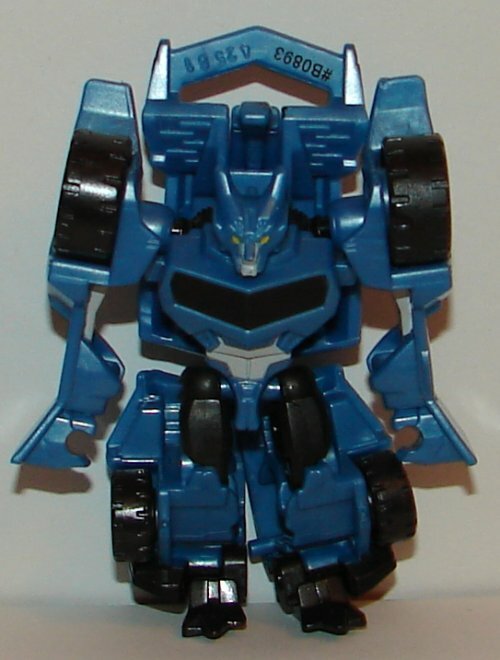 By the way, the Warrior Class versione of Steeljaw has a long, cumbersome tail -_-…. All that plastic could have been used to give him some gun or something. Agreed, I just wish they had weapons, even if they were cheap soft plastic. I have picked up (and reviewed) Optimus and Strongarm so far. I doubt I’ll buy their larger Warrior versions, but so far I’m loving these new Legion toys. Thanks for the info. That would explain it. I’m not terribly optimistic. If they are going to be animals, then give them animal and robot modes. Vehicles and robot modes with animal heads makes no sense. I shouldn’t be surprised. 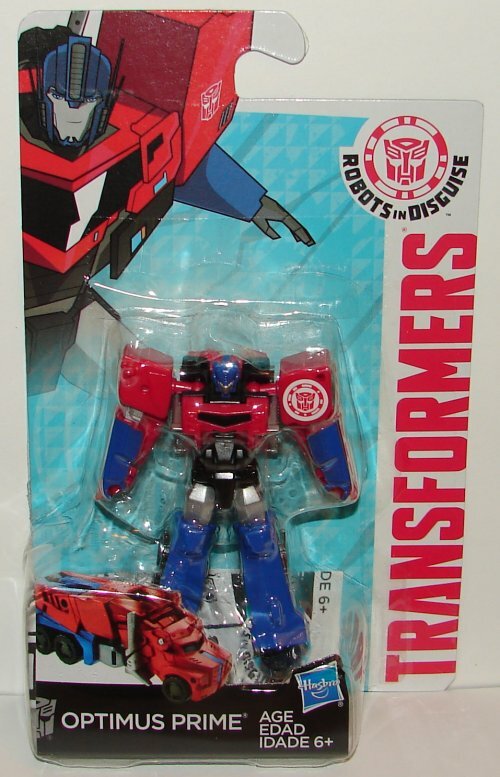 TF Prime was so good that Hasbro couldn’t help but screw up the follow up series. Steeljaw has a wolf head because the new Decepticons in this series are all based on animals.